Frankie Dettori admits it would be a “dream come true” if Stradivarius can continue his stellar season with victory in the Weatherbys Hamilton Lonsdale Cup at York on Friday. John Gosden’s charge has been the undoubted star of the staying division this season, winning the Yorkshire Cup in May, the Gold Cup at Royal Ascot in June and his second Goodwood Cup late last month. He will land a cool £1million bonus from Weatherbys Hamilton if he can make a winning return to the Knavesmire in the Lonsdale Cup and and he is odds-on across the board to do so. 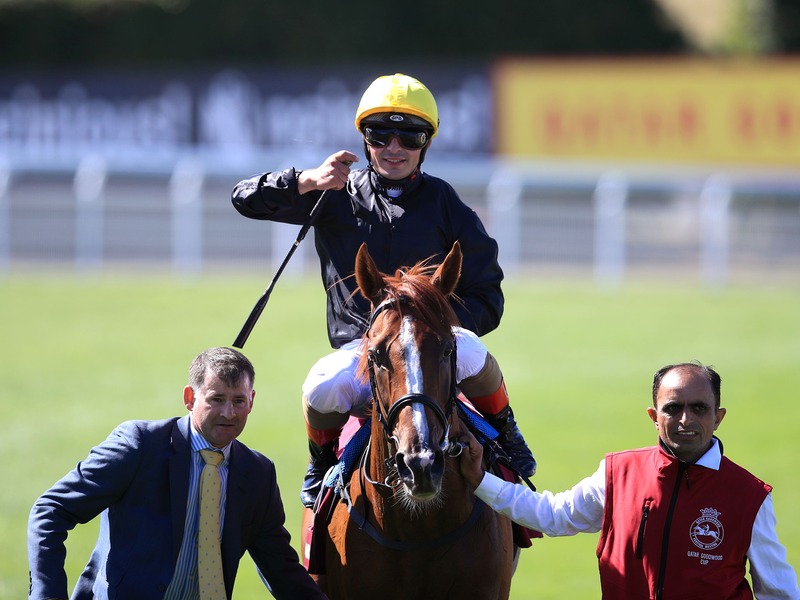 Speaking in his Ladbrokes blog, Dettori said: “I can’t wait to ride Stradivarius in the Lonsdale Cup. He needs no introduction and a win would just be a dream come true. “Everyone is talking about this £1million bonus. “You can’t fault him; he has no hard luck stories. He has beaten the same horses, even with a penalty.